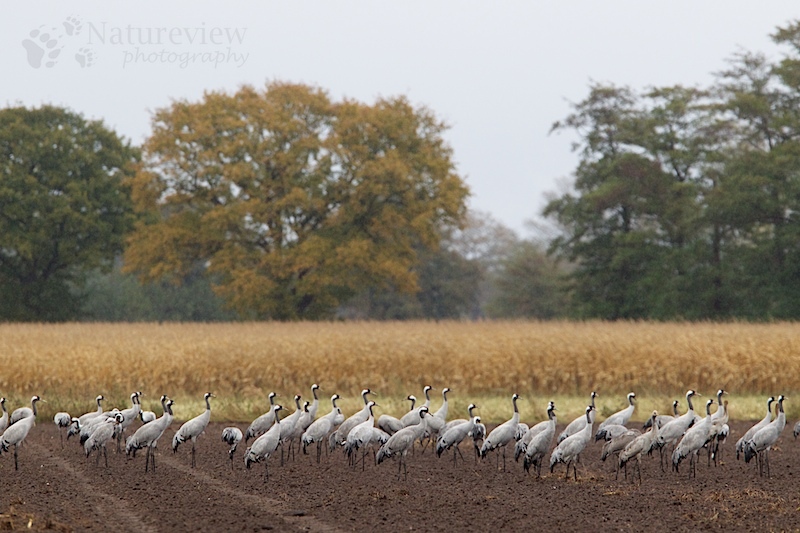 The highest numbers of cranes around Diepholz are counted in autumn. Because of this I tried to capture them with some autumn colours. Not that easy, as they weren’t that strong yet over there. Here a picture of a large group posing in front of some old maize a tree in autumn colours. Nice photo. Mostly I see the cranes at the sky while they fly.